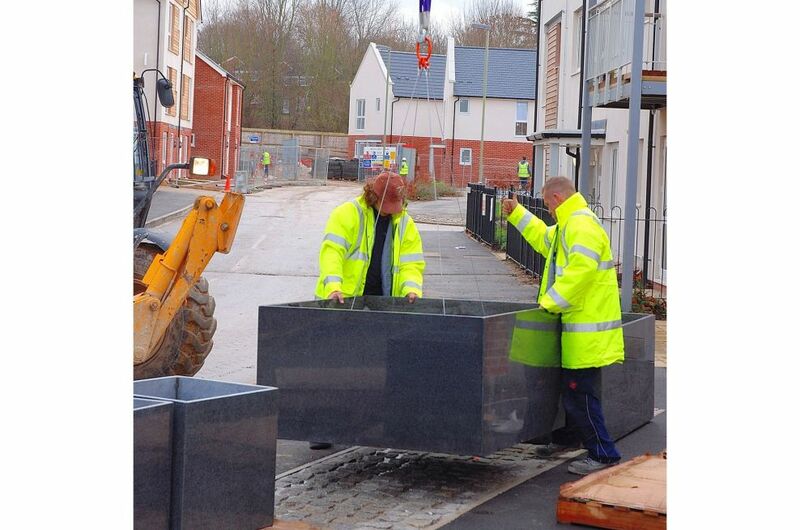 Large custom planters and street seating in granite were commissioned by Linden Homes for their latest development in Popley Way, Basingstoke. 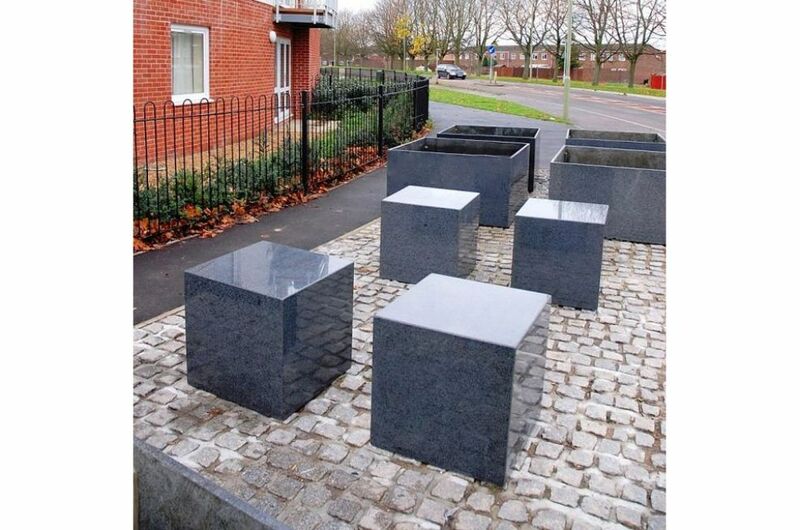 The square-sectioned planters measure 1300mm across with a height of 700mm, and the seats are 600mm cubes. 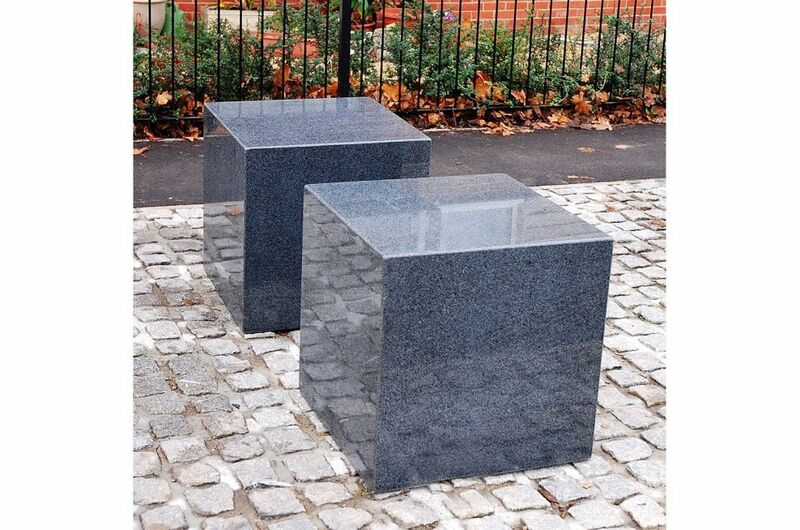 Both the planters and seats are robustly constructed from 25mm thick granite, reinforced internally with substantial fillet sections. The 24 planters each weigh 370kg, and the installation was conducted by IOTA. 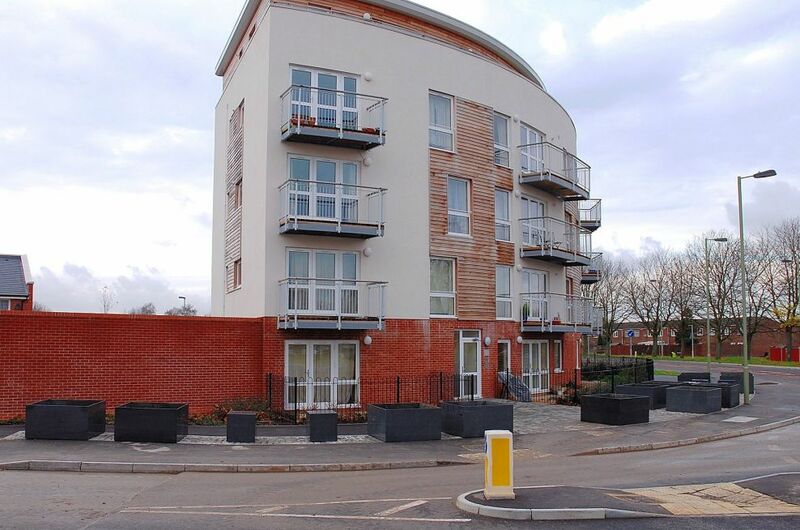 Linden Homes’ latest development on Popley Way adjoins their existing ‘Elevate’ scheme, and is a redevelopment in three phases of a site previously occupied by John Hunt of Everest School. 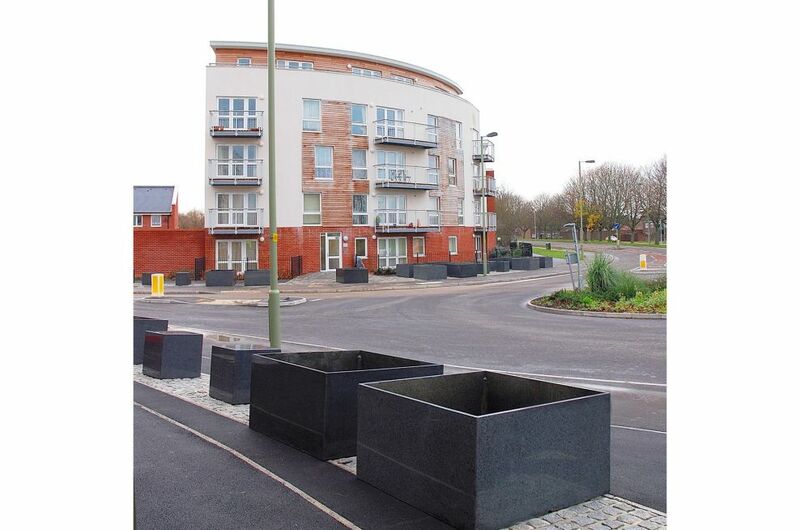 The first phase for 125 dwellings, shown here, required the construction of a new roundabout on Popley Way, with a landscaped gateway into the residential development. 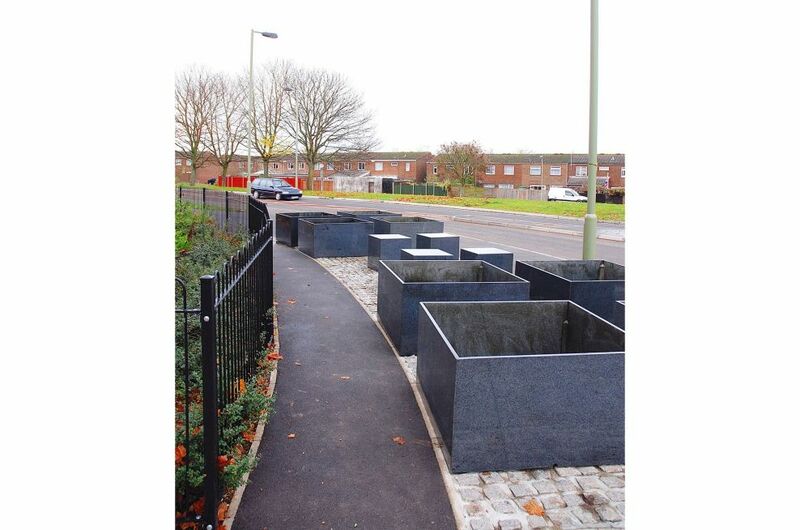 IOTA’s custom granite planters are ranked along a central cobbled section of the pavement both sides of the roundabout, creating a strong visual line from all directions leading to the gateway. 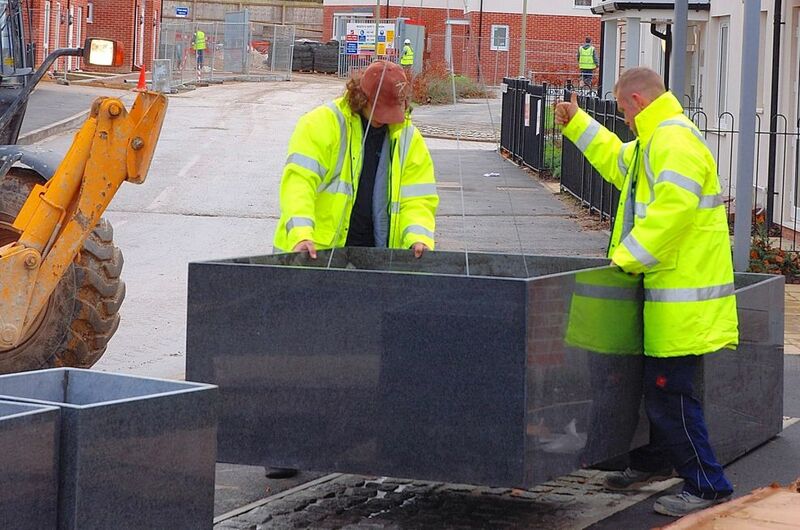 The custom granite seats are interspersed within the ranks of planters, either in pairs or in groups of four.